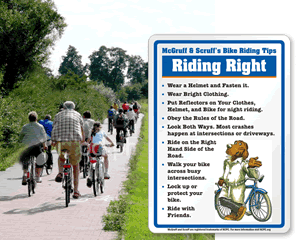 Help McGruff keep your children safe by posting these cute but informative Bike Safety Signs. 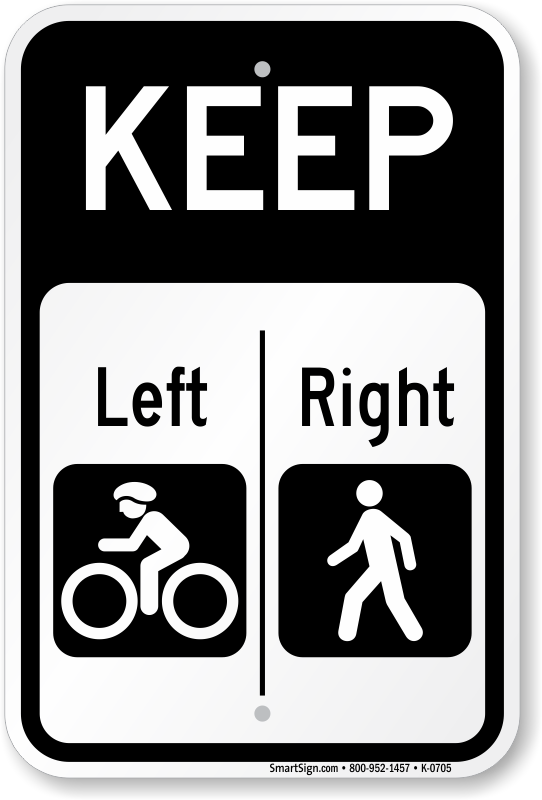 Signs demonstrate to kids proper turning signals and remind them to always wear helmets and bike with friends. 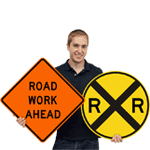 So don't disappoint McGruff: post these safety signs today! 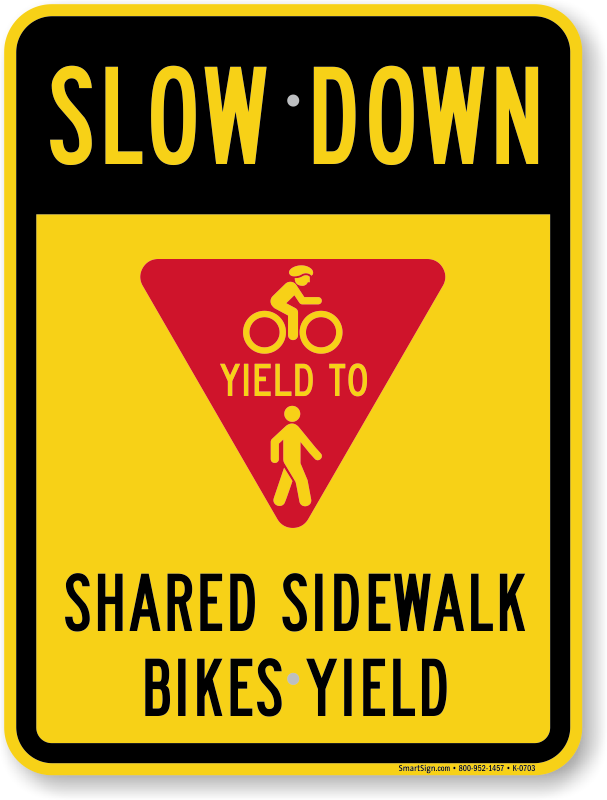 • Bike Safety Signs remind kids to bike safely and follow the rules. 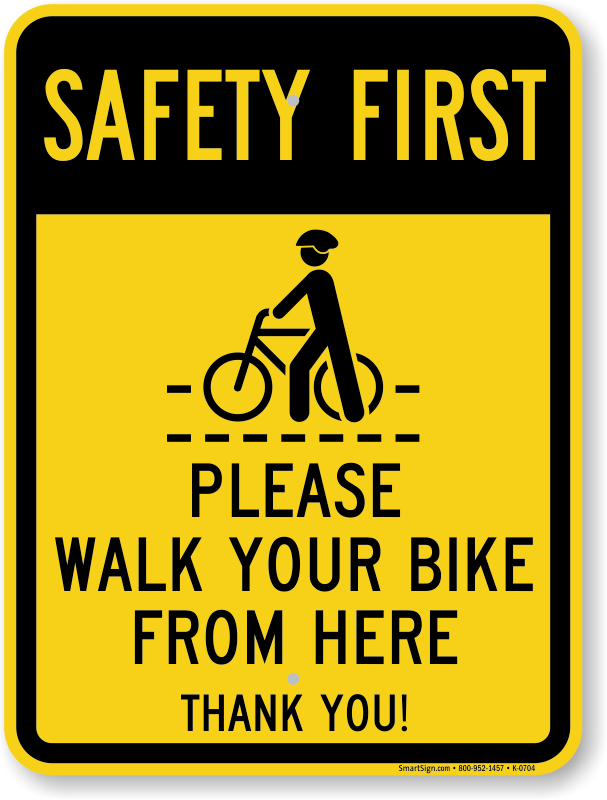 • Bike safety depends on clear warnings. 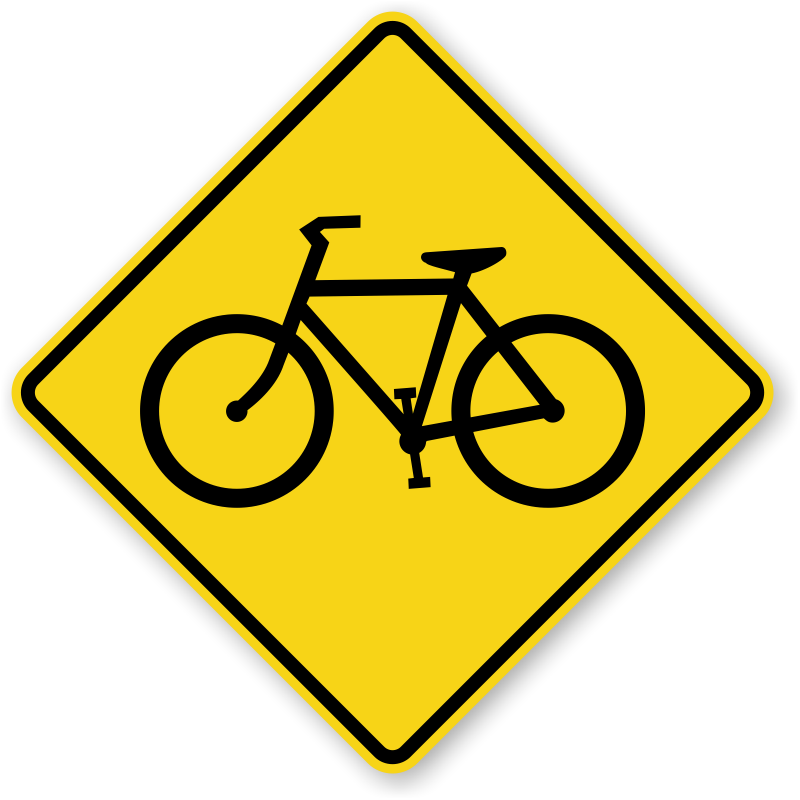 Our diamond-shaped bike warning signs are hard to miss. 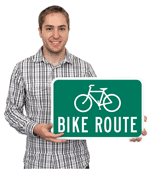 • Click Here to see our complete line of bike signs. 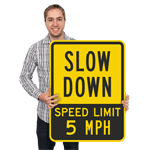 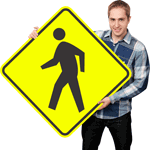 Find reflective aluminum signs for state-specific bike safety laws. 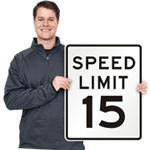 Signs last 10+ years outside.